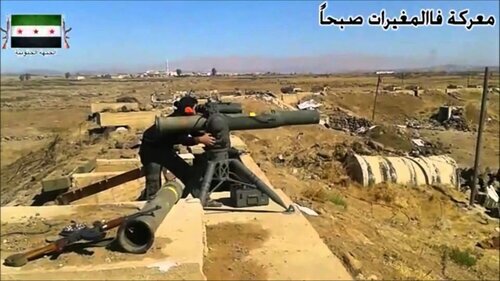 According to Britain’s Telegraph, in a recent report, the US TOW antitank missiles that US President Barack Obama sent in October to the Islamic Sunni fighters in Syria to use against the forces of the non-sectarian Shiite ruler there, Bashar al-Assad, have been so effective against Russia’s forces that Assad had invited in, that Russia – defending (upon Syria’s legal request) President Assad’s forces, and attacking the jihadists imported into Syria by the Saudis and the West – is now being forced to send into the battle Russia’s costly T-90 tanks, which are less vulnerable to America’s missiles. «The deployment of the T-90s appears to reflect Moscow’s frustration at this failure ['getting sucked into a costly and possibly lengthy fight’], as well as concern over the damage inflicted by the rebels’ anti-tank missiles, themselves supplied by the regime’s arch-rivals in the Gulf states [specifically Saudi Arabia, Qatar, UAE, and Kuwait] and Turkey». All of those invading nations (other than the United States) are controlled by Sunni aristocrats, supporters and enforcers of Sharia Law, who (backed up by the US) intend to take over and control the existing non-secular government of Syria, which is run by Bashar al-Assad, and impose Sharia Law. The Telegraph, as a propaganda-medium for the British aristocracy, which aristocracy is allied like a «lap-dog» with the US aristocracy, doesn’t so much as even mention the US nor its Tow missiles that were sent into Syria through Turkey, precisely in order to protect their terrorists against the Russian-Syrian forces. Those US-made missiles were purchased and now owned by «the Gulf states» – specifically, by the royal families of Saudi Arabia, Qatar, UAE, and Kuwait – all of which fund the terrorists (for examples, see this and this). However, the Telegraph article does prominently make note that, «Deployment of T-90 tanks is [the] latest sign that [the] Kremlin is being forced to escalate its intervention from an air to a ground war». The cost of a TOW antitank missile is only $180,000. 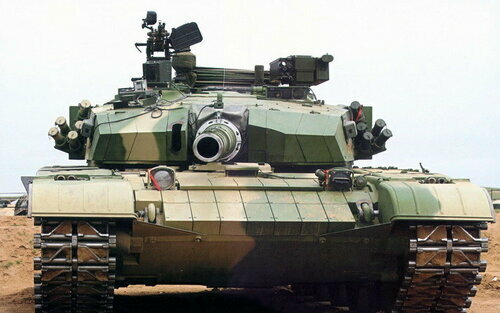 The cost of a T-90 tank is $ 4.5M, which is 25 times as much. This is therefore a battlefield strategy designed to bleed Russia’s economy to death. That’s how Obama intends now to conquer Russia, on the battlefields of Syria – to use Syria against Russia, in the same way that ‘we’ used Afghanistan against the Soviet Union. And the man speaking there, Zbigniew Brzezinski, is a longtime personal friend and advisor of Obama. The identical strategy is being repeated, but this time without the ideological gloss of a conflict between communism and capitalism. It’s just raw conquest the US aristocracy want, and are determined to get. The jihadist Sunni aristocracies work hand-in-glove with America’s – and, incidentally, buy their US weapons, such as here and here. Add in America’s NATO alliance, and it’s an awesome combination they’re using against Russia. The strategy and weapons come mainly from America; the money comes mainly from the Saud family. But none of this is even mentioned in the Telegraph’s piece. This propaganda-article in the Telegraph then goes on subtly to blame Syria’s anti-jihadist President, Assad, for the jihadists who are trying to overthrow him: «Experts say the Russian intervention is prolonging a conflict that has already claimed the lives of more than a quarter of a million Syrians, causing millions to flee abroad as world world powers pile in to join an escalating civil war». In other words, according to the Telegraph: if only Russia hadn’t, on 30 September 2015, joined the battle against the jihadists who have been sent by the US and the Sunni aristocrats, into Syria, then the EU wouldn’t be flooded with refugees from Syria, which refugees had actually already been flooding in long before Russia even started its bombing on September 30th. The propaganda-function isn’t merely in the press; it’s also in academia, and throughout the aristocracy itself – which funds both the press, and academia. On December 15th, representatives of all of the many jihadist groups that comprise the Western coalition to defeat Assad and Russia will be meeting in Riyadh, Saudi Arabia, where the Saud family will select (with US advice and consent) which of the terrorist groups are ‘moderates’ and will thus be supported by the West to take over Syria.